The Red Rising is complete. Mars is reborn. But for Mars to live, the Earth must die. 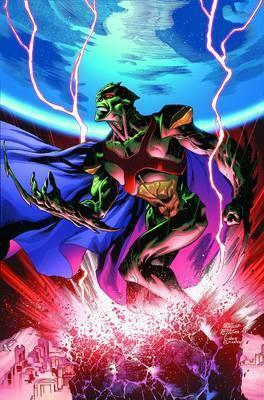 Now, Martian Manhunter has returned to his home planet to witness and take part in its rebirth, but the formerly disparate manifestations of the Manhunter's consciousness--Mould, Agent Wessel, The Pearl and Mr. Biscuits--also find themselves on the red planet and they have no intention of watching one world perish so another can go on. Rob Williams' (UNFOLLOW) epic take on one of the founding members of the Justice League continues in this second volume that continues to sombine science fiction, horror and sprawling super-hero action into one can't-miss comic book experience!